The WordPress Helpers is a community. That means that we’re here to help, and here to help you find help from others, and maybe give it. Lofty goals, we know. The WordPress Helpers has a few of those. We believe WordPress, with its incredibly large installed base and even more incredibly loyal developer community, deserves that kind of respect. Want to be involved? Contact us using any of these little buttons. And please join the community: click that little man in the top bar. At The WordPress Helpers, community is everything. That doesn’t mean we think we’re “the next Facebook”, or that we’re trying to be. We’re here to make using WordPress as easy for you—for anyone—as it can be. Which is an almost impossibly tall order to fill. Or really big shoes, or something. We’re filling something. 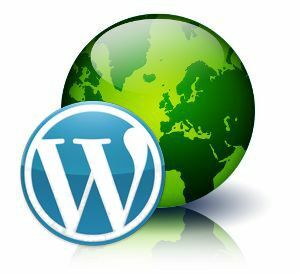 WordPress, as cool as it is, is never as easy to use as it should be, and using WordPress is almost never a straightforward endeavor. IT CAN BE, if all you use WordPress for is a blogging platform, and don’t care about making things look different than they do when you install WordPress, or your host does. Or if you get your WordPress fix at wordpress.com and you’re happy with the default appearance of WordPress when you select a theme from their available options. In other words, WordPress didn’t get as large as it’s become because 23% of all web sites are OK looking exactly the same as each other. There are a lot of ways to make your WordPress site look and act different from the next guy’s: Custom Themes. Plug-ins. Widgets. Shortcodes. There are a lot of things your WordPress-based website can do to drive your business. And there are lots of technical issues to deal with—or choose not to. And then there are different ways to deal with those choices. There’s a large WordPress developer community. WordPress houses over 35,000 plug-ins in their developer repository, and it’s far from the only place where you can find that one kind of add-on software. Ditto themes, the software that (starts to!) control what your WordPress site looks like. There are many, not-so-large WordPress users groups, with many of them running events all over the world. But often those groups are dominated by the same folks who made the software. There are lots of WordPress “information sources” out here on the Internet. The software guys are often involved there, as well. Too often, that means the information they produce is of less than the highest caliber, and focused on promoting something. Journalism, that is not. WordPress is software, so those software guys are important! The WordPress Helpers is here to bring business people, “real users”, and software folks closer together. So our community is really a few communities—and their intersection in one big one that makes something even better. We’re here you be your WordPress community, no matter which “you” you are.